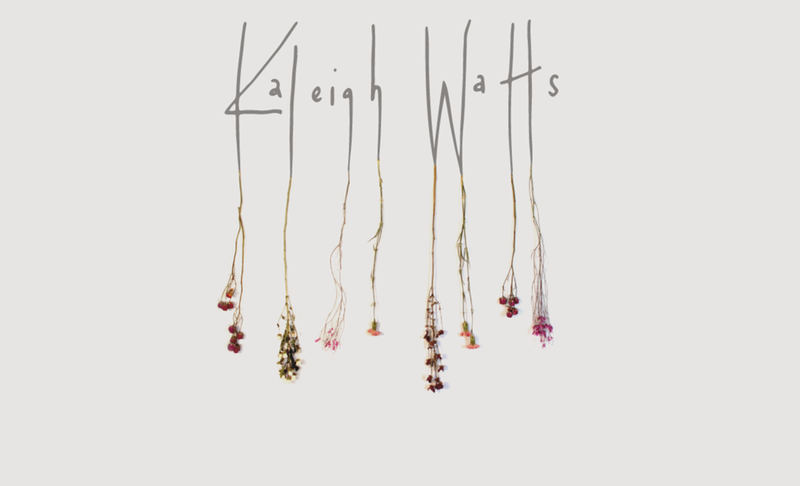 Kaleigh Watts is a Canadian musician and songwriter, born a songbird of the wild, water, and woods. Her alto singing voice has been described as raw and hauntingly beautiful, which perfectly complements her rhythmic fingerpicking on acoustic guitar and her old soul as a lyricist. Watts captures listeners with her intimate musicality, nostalgic melodies on her vintage würiltzer electric piano, and on-stage performance charisma. When joined by her band, Watts debuts an elevated sound with lush arrangements of bowed bass and subtle drums that project warmth and juxtapose with her somber lyrical themes. “Hung Me Dry” is a collection of songs composed during and inspired by Watts’ five years living in the city of Ottawa; an emotional and evocative art piece that illustrates Watts’ longing for relief amid the solitude and darkness of a city. The majority of this album was recorded without electricity in Watts' family cabin on Smoke Lake, Algonquin Park. It features voice, organic textures, and field recordings of Smoke Lake's soundscape. "Ophelia" is an ode to William Shakespeare's imagery, and to the eerie and ethereal nature of his character Ophelia. "The album’s vision of capturing the feel of a wild, isolated place seems like a sonic analog of other ways of bottling pieces of the wild like wildflowers pressed between glass or taxidermy and the record carries the same aura of rarity about it."